Edge-ucation Podcast. They invited me on to discuss online courses, entrepreneurship, and how small businesses, entrepreneurs, and solopreneurs can use online courses to build their business and establish authority. Thank you also to the sponsors of the Edge-ucation Podcast PodAssist and Accelerate for Clients. It’s sponsors who help keep our favorite podcasts going. Click the link below to listen to the show. Scott: Today, we’ve got the guest, Kim Shivler, on. She’s huge in the education world. She’s huge in the technology world. She’s a blast. She was teaching people how to use computers before computers were computers. I’m not sure if it’s 100% accurate, but I’m keeping it. 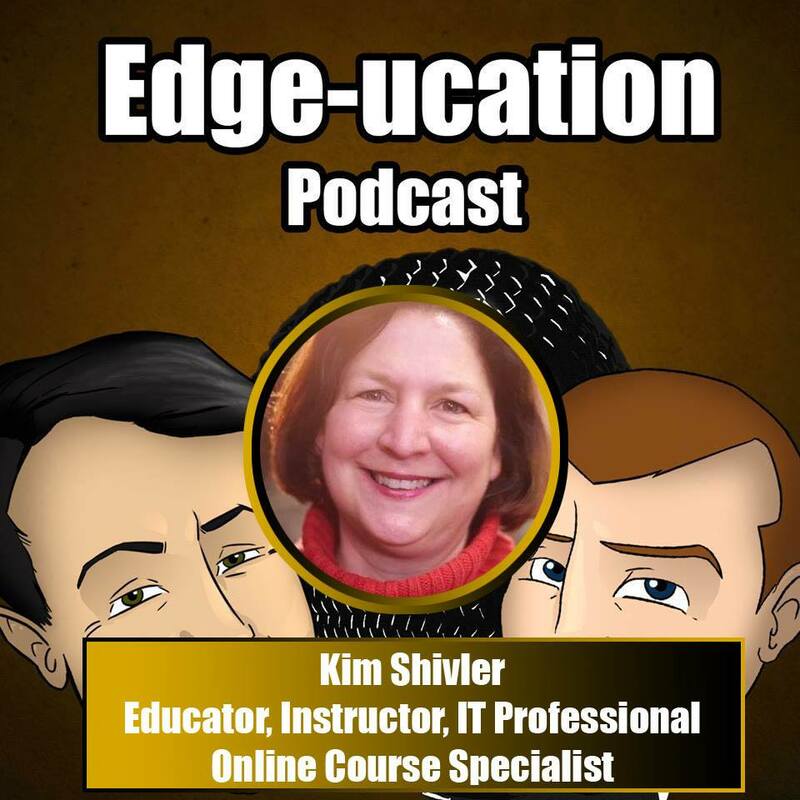 We talked about my background, what I love about online courses, and how entrepreneurs can use online courses to establish themselves as an expert. We also talked about sales, the importance of learning to sell, and that teaching sales seems to be lacking from most of the school system. Are Online Courses Only for Universities? Scott: I like that. For the average person who maybe doesn’t have their feet so wet in business, can you give us maybe some examples of what are some courses you’ve helped work on or maybe just kind of an inside look, because I know some people, they kind of think like an online course is just the university, go on CompuCollege, take your online course, but it’s actually a much bigger world than that. Kim: Oh, absolutely. Yes, let’s talk about that. In fact, online entrepreneurs, business owners are dwarfing what the universities put out because there’s more of us than there are them. An online course really is a way, if you’ve got a business, to be able to showcase your expertise and build your audience. Kim: Exactly. That’s what makes a good course: to have all of those facets so that you’re teaching and reaching people where they learn best and giving them good reference points. What’s Missing from Most Traditional School Systems? Scott: Yeah. One of the questions that I ask every guest, Kim, and I’m so excited to have you on because this is going to give me a better perspective I think. I’ve asked all the entrepreneurs we’ve got on the show and every person of every background, what do you feel is lacking in our curriculum in our current school system? The answers have been varied, so I’m really excited to ask this question. Josh: Take a deep breath. Kim: The first one and just the most high level is entrepreneurship as a whole. It’s really not taught in the school systems. I’m blessed I came from a family of entrepreneurs. If you ever want to hear some crazy entrepreneur stories, let’s just sit together on a Blab. I had that support system. That overall. More important or the deeper level of that, I’m going to say sales. They do not teach people how to sell in the schools. If anything, it’s almost discouraged, like there’s something wrong with being a salesperson. It’s kind of ironic. They hand us band candy and booster stuff to sell to our parents and parents’ friends and selling ads for the yearbook, etc., but they never actually teach sales, how to do sales properly, and how when done properly, it can be a fabulous career. Even if you don’t make it your sole career, if you’re an entrepreneur, you better start learning something about sales, or you might better go back and get a job. Want More? Please enjoy the podcast.